Media reports have suggested that half a trillion pounds of UK-held foreign assets have gone ‘missing’, leaving the country ‘poorer’ as a result. But how fair is this interpretation of the latest data? Jonathan Athow explains the true position. 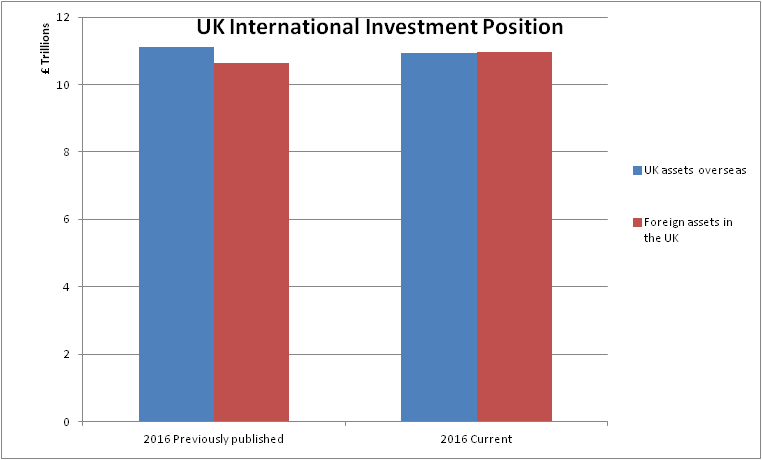 The number in question is the UK’s net International Investment Position (IIP). This is the difference between all the assets (shares, bonds, property and money) held abroad by people and businesses resident in the UK and all the assets in the UK held by people and businesses based abroad. The value of these assets are absolutely vast, over 5 times the value of UK GDP. Typically, the UK has held slightly fewer assets abroad than the amount of UK assets held by those in other countries. For example, in 2015 the UK held around £9,590,000,000,000 (£9.6 trillion) assets abroad, while the rest of the world owned £9,940,000,000,000 (£9.9 trillion) of assets in the UK. This gave a net IIP of around minus £350 billion. 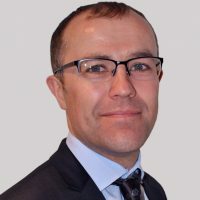 As the net IIP is the difference between two very large numbers, small changes in the valuation of UK assets and liabilities can have large effects on this net figure. 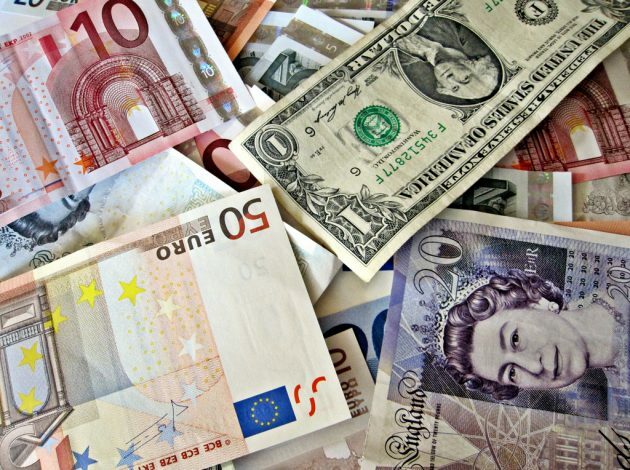 For example, in 2016, and mostly due to the depreciation of the pound following the EU referendum, the value of assets held abroad in foreign currency rose compared with those held in the UK. Using the information available we initially estimated an unusually high and positive net IIP of around plus £470bn. Since then, we have been able to refine our estimates, including new data and sources for measuring bond and share holdings, as well as incorporating large foreign takeovers of UK businesses, the revised balance was lower, at around minus £20 billion. But this does not mean any money went missing, merely that slightly more UK assets were held by foreign investors than we originally estimated. The UK still holds around £10.94 trillion of assets in the other countries, it’s just we now estimate foreign holdings in the UK rose to around £10.97 trillion.